My new short story ‘The Holborn Cenotaph’, published in a limited print edition by Piece of Paper Press, was written for and first performed as a live reading at ‘The Cenotaph Project & the public sphere’, an event that I did with Maya Balcioglu, Stuart Brisley, and Sanja Perovic (chaired by Johanna Malt) that took place in the King’s College Strand Campus chapel in London, on 24 October 2014.
a kind of trial approach to my theme, a marginal commentary on [his] method, in order to justify the liberty taken with my subject, my own variations, the sort of detachment I aimed at. During planning for ‘The Cenotaph Project & the public sphere’ event, I recalled that Stuart Brisley had been a supporter of Piece of Paper Press in the early days of the project during the mid-1990s (donating the early publications that he had collected to the UCL Library’s Little Magazines Collection). We thought it might be apt to use the format for a publication that we could give away on the night. 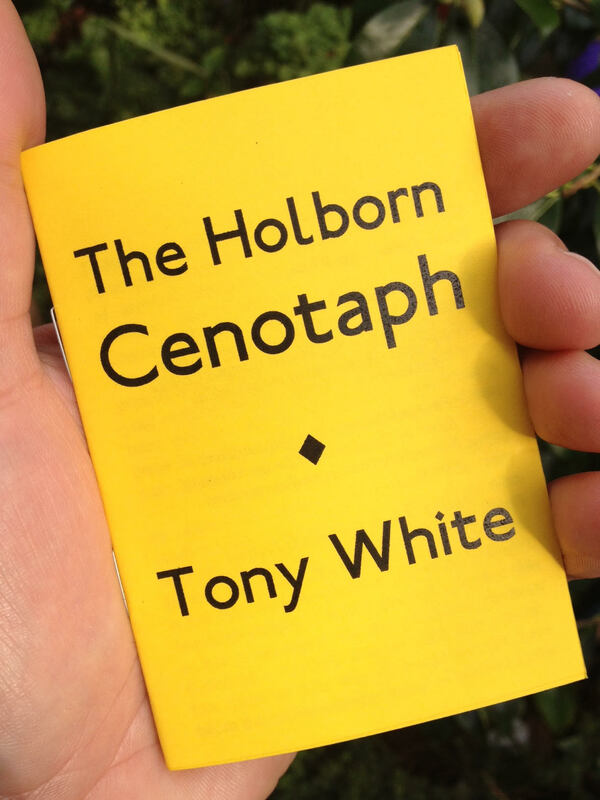 An uncorrected proof edition of ‘The Holborn Cenotaph’ with variant text and limited to fifty numbered signed copies was distributed to the audience at the event itself. UPDATE, MAY 2016: APOLOGIES BUT THIS EDITION OF ‘THE HOLBORN CENOTAPH’ IS NOW OUT OF PRINT. A FREE DIGITAL EDITION IS PLANNED FOR SEPTEMBER 2016, IF YOU WOULD LIKE TO BE NOTIFIED WHEN THIS IS AVAILABLE, SIGN UP FOR UPDATES HERE. LISTEN TO ‘THE HOLBORN CENOTAPH’ LIVE AT LONDON RADICAL BOOKFAIR, 7 MAY 2016. ‘The Holborn Cenotaph’ was written for October ’s event at the King’s College Strand campus chapel, London, but could be read in any public or civic space associated with ceremonial or displays of power. In addition to the updatable sections indicated within the text, the story could also be adapted for performance in any UK location, whether alongside Brisley and Balcioglu’s The Cenotaph Project or not, by substitution of Holborn Police Station and other London or location-specific detail with any UK police station building, town or city; MOPAC (the Mayor’s Office for Policing and Crime) for any local police authority, etc. Download ‘The Holborn Cenotaph’ press release (opens as PDF). 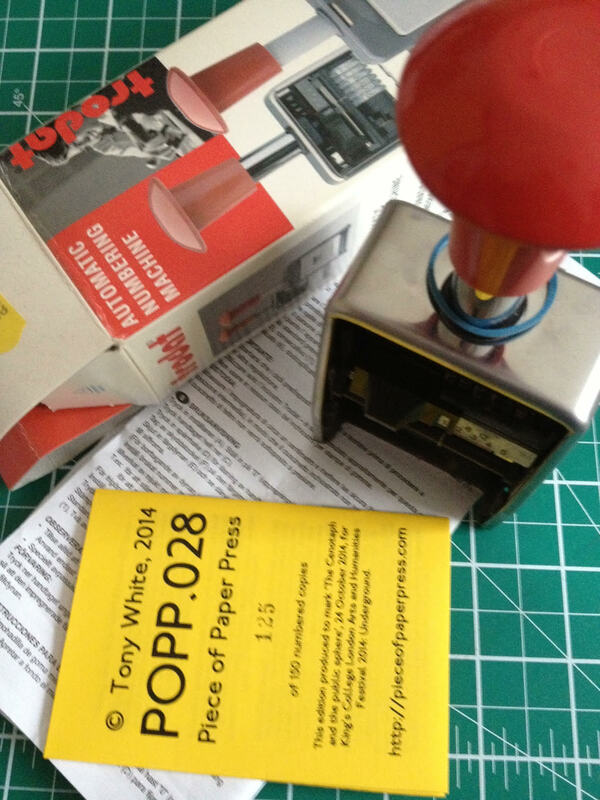 Piece of Paper Press was created by Tony White in 1994 as a lo-tech, sustainable publishing project used to publish new writings, visual and graphic works by artists and writers. 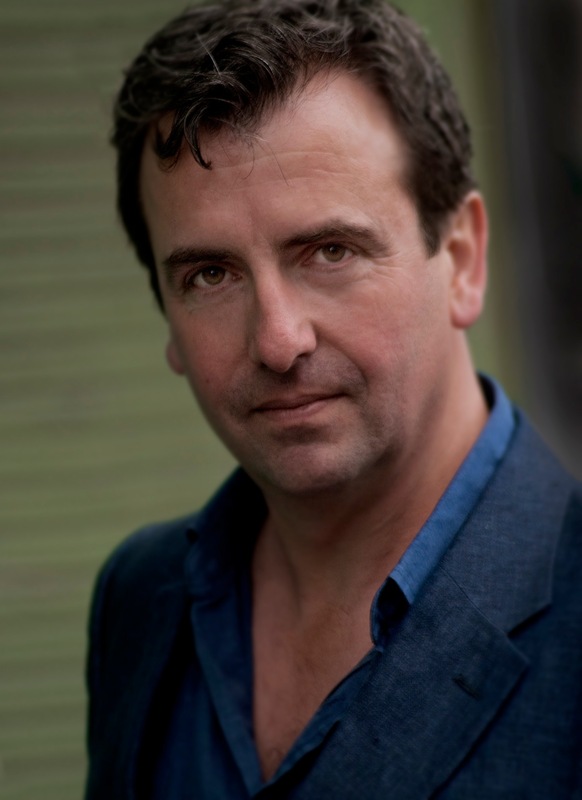 Past contributors have included Michael Moorcock, Tim Etchells, Bruce Gilchrist, Liliane Lijn, Elizabeth Magill, James Pyman, Suzanne Treister, Alison Turnbull, Penny McCarthy and others. Each book is manufactured from a single A4 sheet that is printed on both sides using a photocopier or a domestic printer, and then folded, stapled and trimmed by hand to create the book. The edition is limited to 150 copies, which are usually distributed free by post. This is the 28th title from Piece of Paper Press. *The other story written as a test piece for the larger project in this way is ‘High-Lands’, which was originally commissioned for radio by London Fieldworks as part of their Remote Performances project, broadcasting live from Outlandia on Resonance 104.4fm during August of this year. Listen to ‘High-Lands’ on my SoundCloud page.